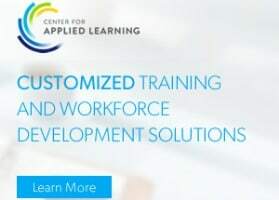 The Center for Applied Learning (CAL) at American Public University System provides customized training and workforce development solutions designed to address the diverse and changing needs of teams and organizations. CAL solutions deliver focused, relevant, interactive educational experiences that improve organizational performance. Visit the Center for Applied Learning website for more information.